Registration is now open for Saratoga City Ballet’s Fall classes, featuring classes in beginning to advanced Ballet for ages 3-18, plus Adult, Jazz, Modern, Core and More! To see our Class Schedule and to download Registration Forms, click here. 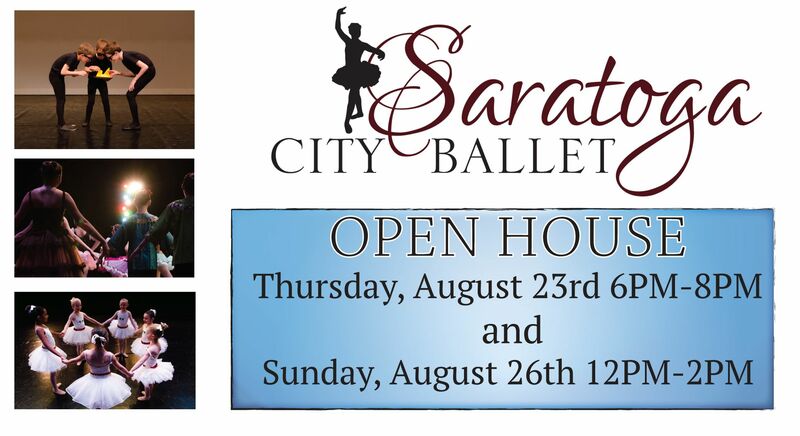 Don’t forget to mark your calendars for our Open House on Thursday, August 23rd from 6-8 pm and Sunday, August 26 from 12-2 at the SCB studios, 4295 Route 50 in Saratoga Springs. We are excited to see you! 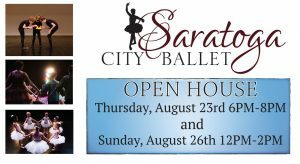 For information about Class Placement and Levels, please contact our School Director, Siobhan Dunham at siobhan@saratogacityballet.com, or call (518) 584-1895.